Technology changes constantly. There is one question you always ask when launching any Website is for website display. Because of the importance of the impression, attraction & user experience, the choose a suitable theme plays an essential role in any Ecommerce Website. If you love PrestaShop Platform, your shop needs a beautiful design PrestaShop Theme. Compatible with latest version is the priority requirement than ever. To ensure your website run smoothly, your website should be installed latest version of PrestaShop. Currently, version 1.7.5 is required. 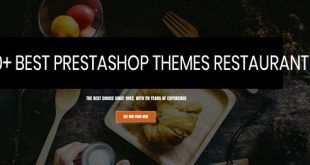 So in this blog, we introduce all “20+ Best PrestaShop Themes 1.7 for Any Business in 2019 – Leotheme” . They are all responsive & retina ready. Beautiful design & flexible layout, better in both user experience & customers experience. The great themes are perfect for any ecommerce Store. Fashion, Electronics, Supermarket or Real Estate, Hotel Booking Service, .. are great. Even if, you are fell in love with theme design, you are totally able to customize theme for your desire Ecommerce. Fully Responsive, RTL & Multiple Lingual Support, Unlimited customization, flexible design layouts in a powerful framework helps to build website instantly with Leotheme PrestaShop. Gymgear is our newest template in latest version of PrestaShop on Leotheme. The fastest theme is perfect for any Ecommerce Shop as Gym & Fitness center, Gymgears, Sport Gears, Sport Fashion, Accessories,…. 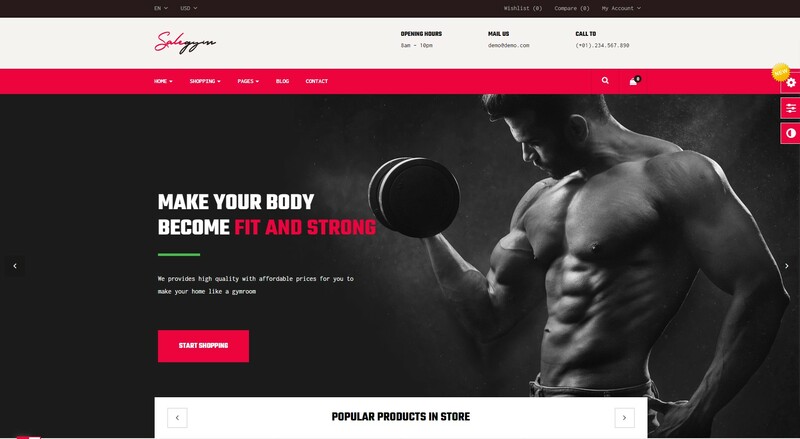 Bos Gymgear is a beautiful Prestashop theme responsive is designed with 04+premade homepage demos with different layouts, Bos Gymgear gives you more alternatives for your online store. The dynamic, powerful and strong feeling will impress your visitors at first sight. 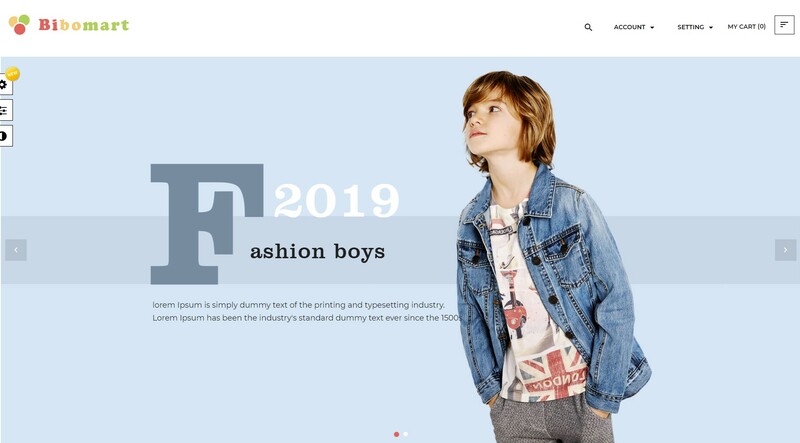 Leo Bibomart is incredible PrestaShop Theme for Kid, Baby Store with numerous improvements for website development process. Thanks to building on Leotheme Framework, Leo Bibomart let to set up website quickly by 1 Click installation. All demos homepages, CMS page, shopping page, product detail page, blog pages are installed instantly. This product is better in both design, practical & high functionality features. The theme design is compatible with any browsers as IOs, Window, Internet Explore, Tablets, Laptops & Desktop, Computer. Moreover, rich content & flexible layouts helps to keep customers focus on at their first sight. Plus, Leo Bibomart is optimized on SEO, Conversion Rate, Speed – the short & effective way to push sale drastically. No code required! It’s easy to understand that Leo Fashion is the most popular Fashion PrestaShop Theme ever. 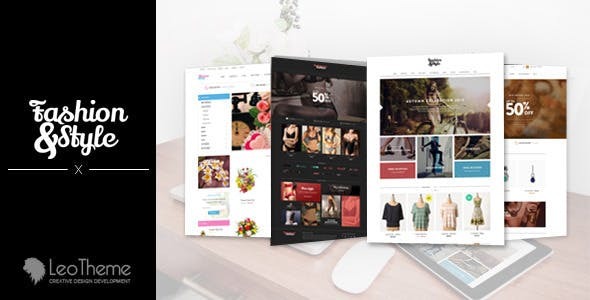 Fashion is a spectacularly flexible and incredibly multipurpose website theme that has been designed & developed carefully and painstakingly for the most comprehensive PrestaShop theme 1.7 & 1.6. 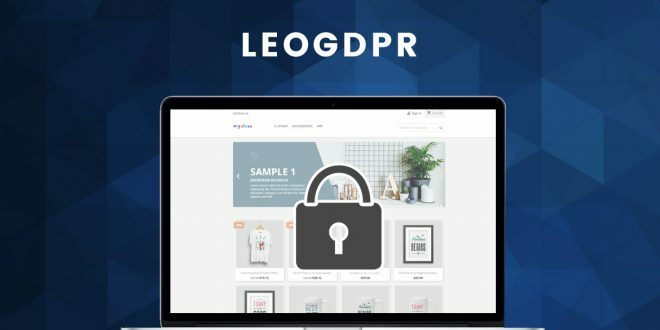 Coming with 04+ prebuilt demo homepages, and multiple homepages for product, blog, … Leo Fashion is your smart choice for Ecommerce such as Fashion, Underwear, Flower & Jewelry Store. 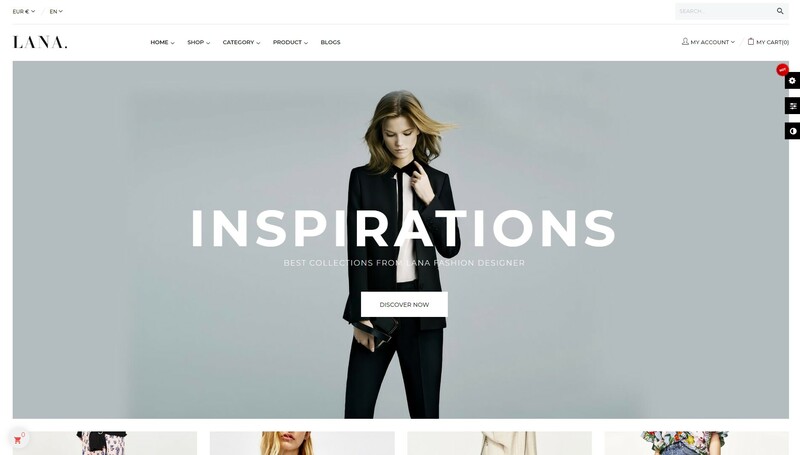 Bos Idu is a creative, beautiful & dynamic Prestashop theme for Fashion, Shoes, Watch, that majoring in Fashion field, born to be an intuitive toolkit that helps to simplify the website building and designing process. 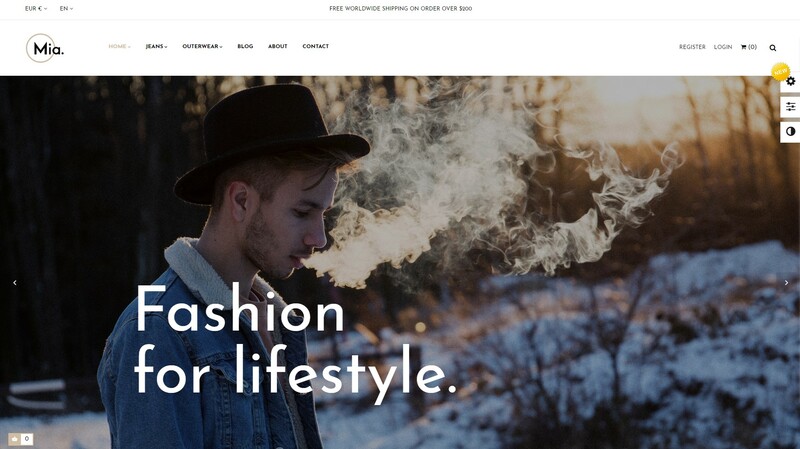 The best PrestaShop Theme for Fashion is perfect for any web owners from any background to craft a quality website in minutes without code-requirements. Bos Idu is designed for fashion and accessories store, shoe shop, hand-watches store, school bags, eyeglasses, hats, high-end fashion store, etc. Leo Sooyoung is a flexible Prestashop Theme for Cosmetics, Makeup Salon. It is suitable for Cosmetics and Beauty, Skincare and Spa, Makeup store. The theme is so impressive with 03+ charming pre-made homepages demos powerfully supported by Ap Pagebuilder module with Drag-and-Drop mechanism and tons of available widgets. You can self-design and manage your website easily in the intuitive backend panel as it supports create multi profiles, multi-headers, and footers. Leo Sooyoung is fully responsive, fast loading, and SEO optimized together with full rich module features; therefore, this beautiful cosmetics and beauty Prestashop 1.7 theme will meet even the toughest requirements of any eCommerce shoppers and owners. If you are looking for the best PrestaShop 1.7 for your Tea Shop, Drink Shop, Food & Beverage Shop, Leo Zlin Tea is your smart choice. It’s fully responsive & fastest theme that ensures a quick load speed. Leo Zlin Tea Shop becomes one of the best PrestaShop theme 1.7. It comes with 05+ Elegant pre-made Homepages and Multiple Styles for Product Layout. With the main colors green and white to bring a sense of freshness to any web-visitors and tea devotees. Born to have stunning user-friendly web interface design, fast loading, and better SEO optimization, unlimited Customization, 1-click installation, clean code, elegant layout and color, Leo Zlin will be a perfect and smart choice for you to start your tea and drink online business. With the intuitive and powerful Page builder module, you absolutely can configure your website interface with some simple drag-and-drop operations with zero code requirement. 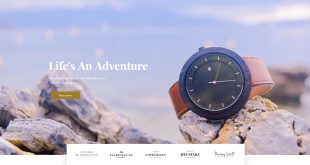 Leo Smitten performs a top-notch Prestashop Theme for luxury website with unlimited customization, intuitive visual page building process that comes with no coding experience. Thanks to being built on Leotheme framework with powerful PrestaShop Modules 1.7, Leo Smitten allows to build content, layout for both homepages, CMS page, product pages & shopping pages easily. The installation can be done in minutes. So here is the perfect theme for personal, professional, business or Ecommerce websites. Bos Voyage is one of the best themes on PrestaShop 1.7, perfectly suited for Furniture, Home decor, Interior, Minimal things. Both store owners & customers will be amazed, as they navigate your well-designed, streamlined page. If you wish to learn more about this theme, you can consult its extensive and highly informative documentation. In addition, there is a live demo along with some screenshots. Your site will be highly customization, as you can alter or change every . 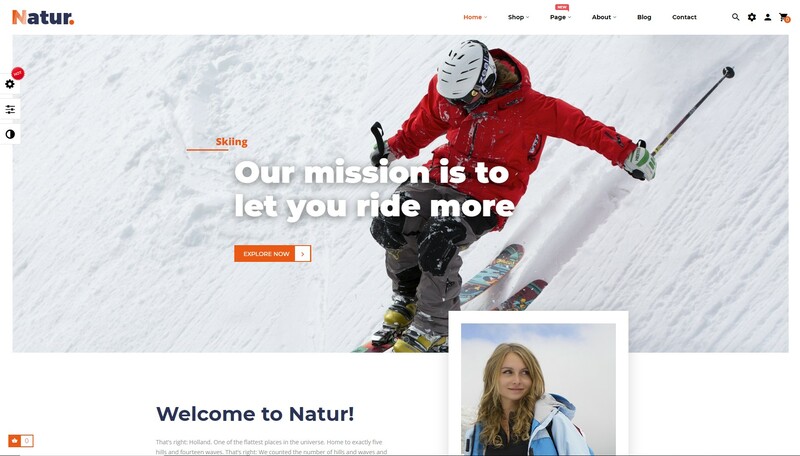 Leo Natur – is a wonderful PrestaShop Theme for Fashion Store, Sport Gears, Skiing Store, … Sport Fashion PrestaShop is a super flexible PrestaShop theme 1.7 that is developed by Leotheme Developer. This stunning PrestaShop Theme is extremely suitable for any business with fully customization. You are freely to add, edit, modify website with your own styles in no limitation for customization theme. Professional appearance, high conversion rate & fast load will help customers get great experience on that. Leo Chic is the most powerful and flexible PrestaShop 1.7 theme created by Leotheme. You can build your website easily for your website to create any type of website with a powerful drag & drop builder. Just a single clicks Installation, you can import their demo setup that includes various theme settings, style & layout for content, menus, widgets. Attractive appearance & amazing customers experience insights will make your Fashion Store get more customers view & organic traffics. 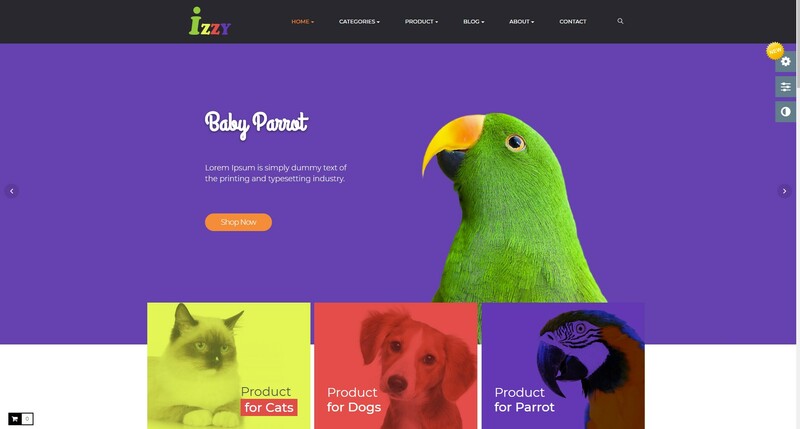 Bos Izzy – is one of the best Premium PrestaShop Theme on the market. You can use theme to build your Cutest Pet Shop & Veterinary. The Pet Care PrestaShop Theme 1.7 offers 04+ Premade Demos, CMS pages & service in a powerful theme framework. Just cost $68 only! To specify, this PrestaShop Theme 1.7 is built on top of Leotheme framework, which run smoothly with the new improvements in SEO, bugs fixed. Leo Mia is a creative, neat & elegant theme with one-stop solution for a wide range of website applications, for any business from fashion to corporate, Ecommerce to Marketplace, medium & small. This PrestaShop theme is built with unique and powerful capabilities for static website, single page website and static webpage creation, in a swift, efficient manner that is intuitive and easy and requires absolutely no coding skills whatsoever. Fully Customization, SEO & Speed Otimization, Flexible Layouts & RTL Languages let you use PrestaShop Theme amazingly. The best PrestaShop Theme 1.7 is designed specially for Men Fashion, Men Store, Men Accessories. It is powered & build in the latest version PrestaShop 1.7 & greatest web development technologies. 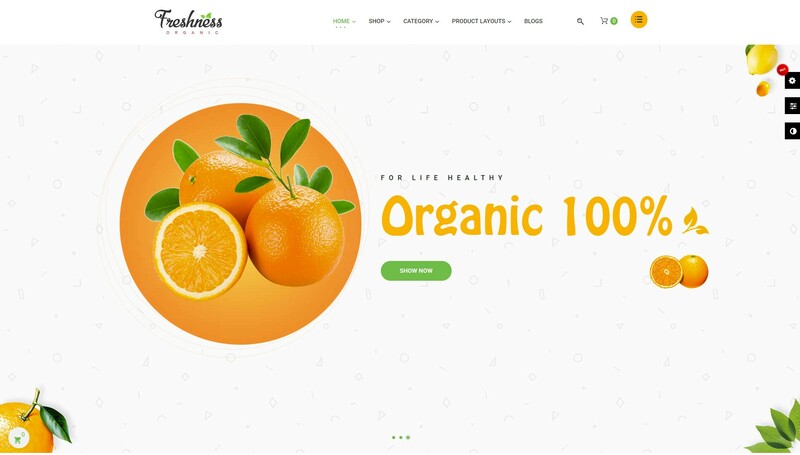 This theme also has a focus on rich content and brand identity, with fully customization, beautiful layout, typographical options and advanced color schemes. Bos Soucer is created in well-coded to load fast and be easy to use, meaning it is great for slower connections. It is also very social media friendly, attractive content and maximized exposure. Bos Soucer is a theme that lets you build websites that people can enjoy and want to share with others immediately. Leo Zurich has been developed by a skillful & dedicated team of coders and designers – Leotheme. The PrestaShop 1.7 Theme provides with a robust and reliable framework for the development of all kinds of different, feature-rich modern websites style across a broad spectrum of archetypes and applications. It best suits professional portfolios as well as personal or corporate blog websites, with dozens of dedicated layout designs for each that you can easily customize through the Visual Composer Drag & Drop page builder. Powerful mega menu will help to build a large of menus that allows to navigate store quickly & easily. Bos Atari is a flexible and multi function PrestaShop 1.7 theme with a wide selection of topics. It comes with unique demos that is easy to use & customize for both content & layouts. Bos Atari is an excellent theme for game lovers. 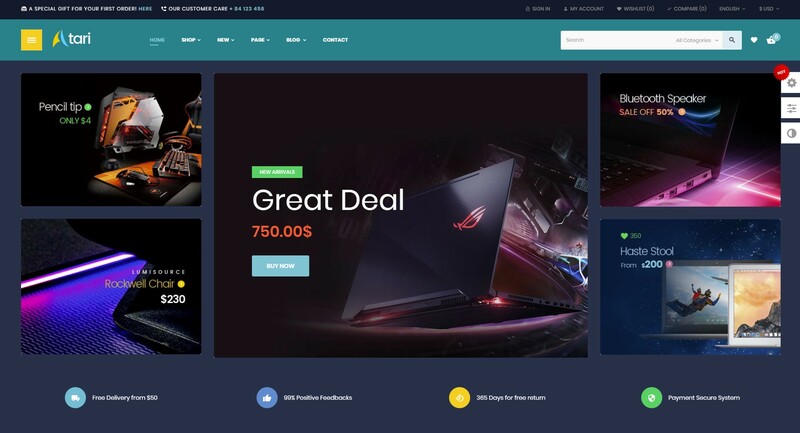 It’s specially designed for eCommerce sites that focus on games like Computer Games, Video Games, Gaming Board, Game Gear, Games for PC and PS, Game Portal. Bos Atari comes with the mysterious dark background color, which will attract gamers a lot. It’s suitable for any commodities. It gives you the option of fully customizing and revamping your gaming website with flexible layout and unlimited color skin supported. 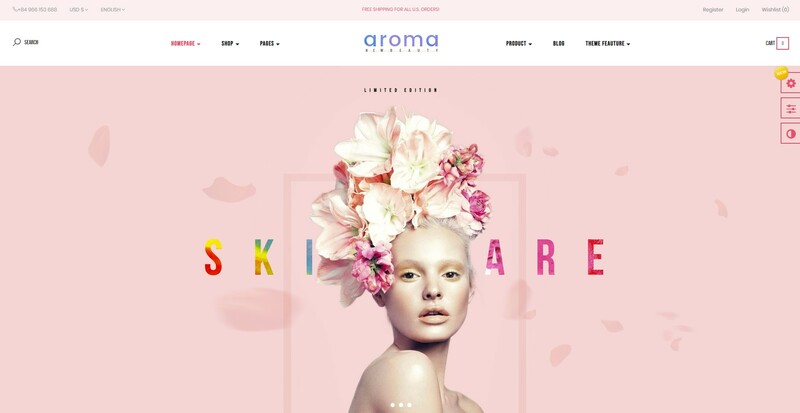 Leo Arroma is a must-love cosmetic Prestashop theme as it looks charming and beautiful, alures you at first sight. Leo Arroma comes with 4 available homepages, Home 4 is special with Christmas theme. It is a perfect match for shops to sell cosmetics, skincare, perfume, beauty, makeup product. All in one template. Yes, Leo Arroma possesses all needed functions of an online store. Leo Lana is a clean and advanced Fashion Prestashop theme in the latest version of Prestashop. With a very trendy design, Leo Lana for fashion and accessories store will make your site a favorite place for fashion devotees to shop online. It is designed to be perfect for any online shop to sell clothing, women’s clothing, hi-fashion clothing, swimwear, underwear, lingerie, shoes, jeans, dress, etc. 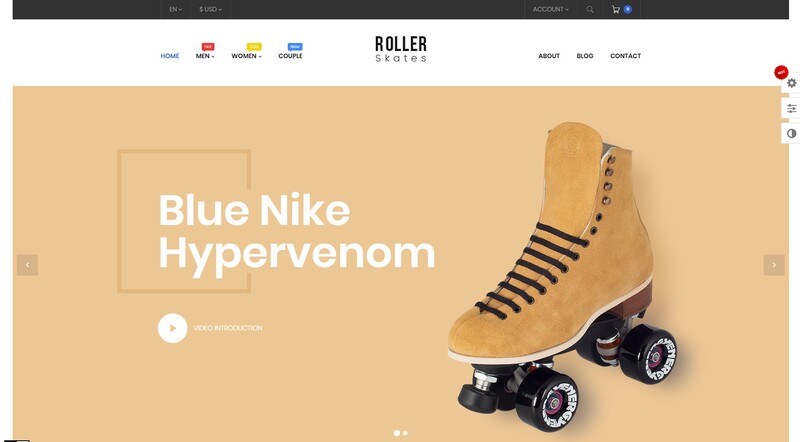 Leo Roller Skates Prestashop theme is very clean, decent and easy to install and use, which will be ideally suitable for any sites related to Fashion or Sport. It is designed with a focus on user experience and usability. It is 100% responsive, which will make your site have amazing look on different screen resolutions such as mobile, tablet, computer, laptop. Leo Motokid is a modern Prestashop theme with a fantastic design that attracts viewers right at the first look. Leo Motokid definitely brings perfect user experience with full of handy features. 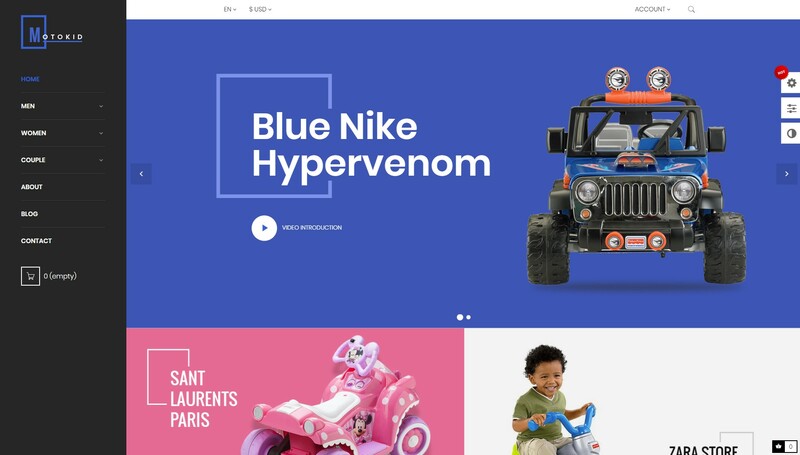 It’s clean and minimal, associated with smooth animation and effect, perfectly suits for online shops to sell electric cars, kid cars, car for kids to drive, kid’s electric vehicles, toy electric cars. 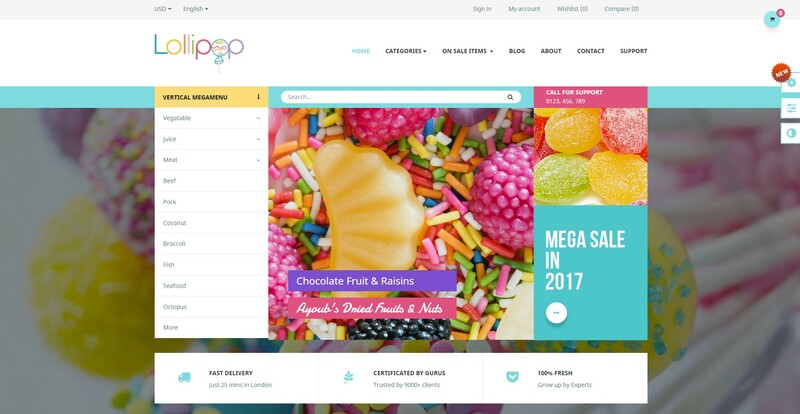 Leo Lollipop is a premium Prestashop theme with the unique set of features for sweet store, candy, cake, food store. Its attractive appearance will stimulate appetite of anyone who visits your website. Leo Lollipop has an ultra responsive design that fits each and every screen. Moreover, Leo Lollipop gets tons of exclusive modules that help you manage your store effectively and save up thousand dollar. You absolutely can create homepage on your own taste in a minute with powerful page builder. 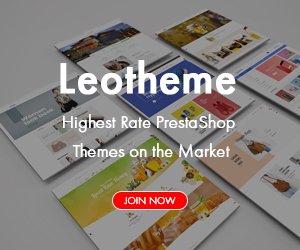 Here are all Best PrestaShop 1.7 Themes – developed by Leotheme Team. With this PrestaShop Theme Collection, we hope that you can choose some template for your current PrestaShop Store in the latest version. Specially, these beautiful PrestaShop Themes are in PrestaShop Membership at Leotheme.com. You can join in PrestaShop Membership with just $99 to get 300+ PrestaShop Themes for any Ecommerce.